My Speech kids and I spent this week making one last craft before Halloween - Mummy candle jars. 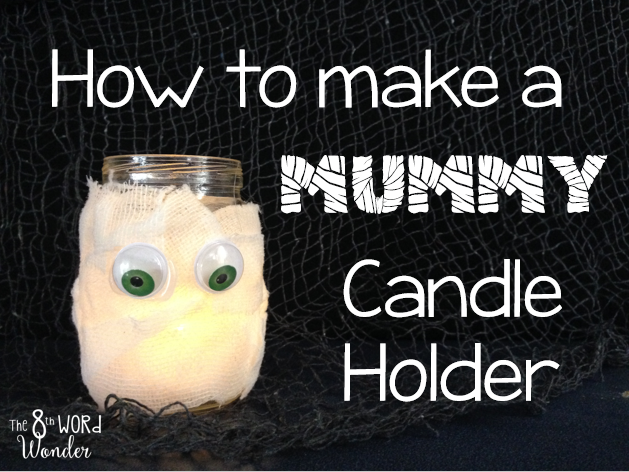 This craft is not only super cute, but really easy and cheap to make (a little more expensive if you choose to send a candle home with it - but that part is up to you). This is also an easy activity to add a therapeutic spin to it... just keep on reading. Baby food jars (if you don't have a baby, consider asking parents with little ones to donate their used baby food jars). This craftivity was the perfect ending to a fun-filled October. I can't wait until next year! !